Following an outcry over the decision to let two of its movies compete for the Palme d’Or last year, Netflix has been banned from the competing at the Cannes Film Festival. The streaming service’s refusal to release its films in theatres—barring the very rare simultaneous online and offline launches—is behind the decision. 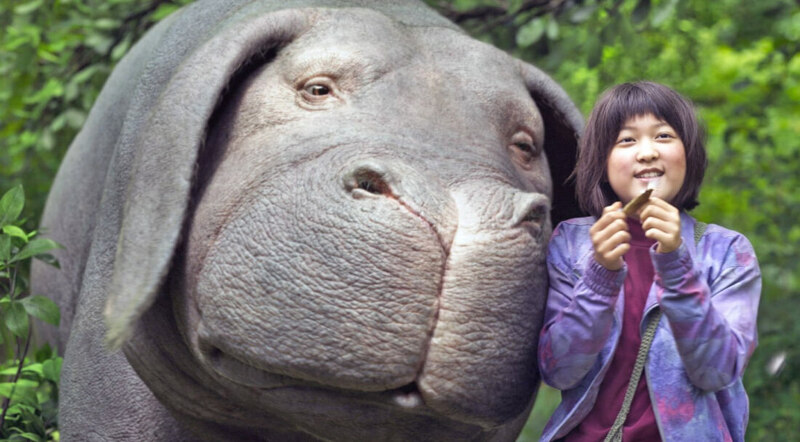 Two Netflix titles—Bong Joon-ho’s Okja and Noah Baumbach’s The Meyerowitz Stories—were entered into Cannes last year despite criticism from French filmmakers, among others, who said their lack of theatrical runs in France meant they shouldn’t be able to compete. Netflix did try to obtain temporary permits for the movies to get one-week theatrical releases, but French media regulators prevented it and the pair couldn’t reach an agreement. While Netflix will be able to show its originals at Cannes, it won’t be able to enter the running for the Palme d’Or. It was implied that its films won’t be eligible for any of the festivals other awards, either. The new rules state that starting with this year’s event, films entering the competition will need to have a French theatrical release. That's a really retarded decision. Absolutely amazing break down Darkzelda. Couldn't of said it better myself. Who cares about these dated fake awards? copasetic, erickmendes, dms96960 and 1 other person like this. Is it in the rules that it has to be released in theater's? Considering their failings it's just a dumb decision. Film is film and they shouldn't be so judgmental! erickmendes, killmess and dms96960 like this. If they want to win awards they should make their own streaming award ceremony, in stead of entering Theatre awards ceremonies. They shouldn't be so judgmental. This has nothing to do with the artistic quality of the movies. It's simply the industry (in particular, the cinemas) which are preventing Netflix from gaining prestigious awards. As to the person who said who cares about 'fake' awards: These awards are critical in getting greater attention at larger prizes (like Golden Globes, Oscars, etc). All of these awards build a brand that Netflix wants as they shift more into exclusive content. It shows that they are just as good as any of the other production studios -- no small feat for a company that just a decade ago was streaming reruns and cable movies. It has a huge impact on the bottom line. With the rate cinemas are going at, they will be history soon enough. erickmendes and dms96960 like this. Sounds like the theater czars are butthurt because Netflix won't let them collect some juicy profits from concessions and overpriced theater tickets these movies would attract. Reehahs, erickmendes and dms96960 like this. Ok, so it's all about the industry, not about the art... Even on blockbusters like Avengers movies that's not so artistic but lets say artistic in other senses, I'm avoiding cinemas. I prefer to get them on Google Films. I think they problem is the popcorn industry... Because going to cinema nowadays is more about attracting consumers to big shopping malls and making people spent money on soft drinks then about the movies.